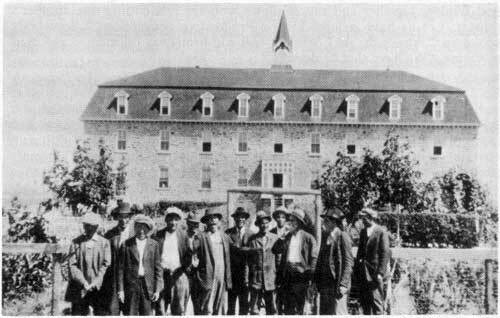 Constructed between 1894 and 1897 by Scottish masons from Red River using local stone, this four-storey structure was said to be the first solid building northwest of Dauphin. It included a chapel, which was used for worship until a large stone church of the same design and material was constructed nearby between 1906 and 1910. Academic subjects were taught half-days to the higher grades, with instruction in home economics and agriculture taking up the rest of the time. 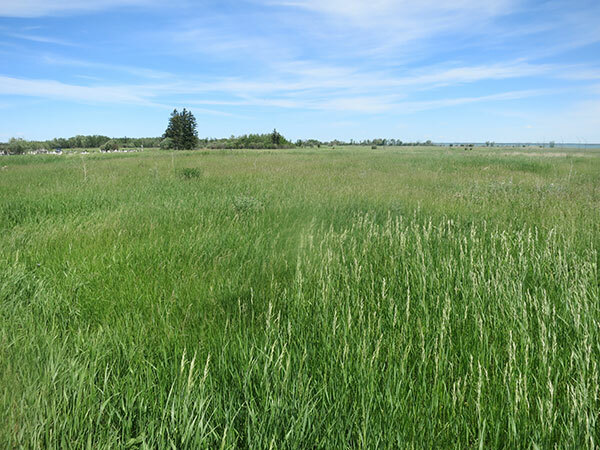 Land was cleared for vegetable gardens and grain, to feed the cattle herd that was started. Over the years, the costs of financing increased until the Roman Catholic Mission could no longer operate the school. It was turned over to the federal government and eventually replaced by a new building to which children came as day students only. It closed in August 1969. The original stone school was demolished between February and March 1972. Its stones were dumped into Pine Creek to make a causeway but a few portions of its foundation are still present at the site. 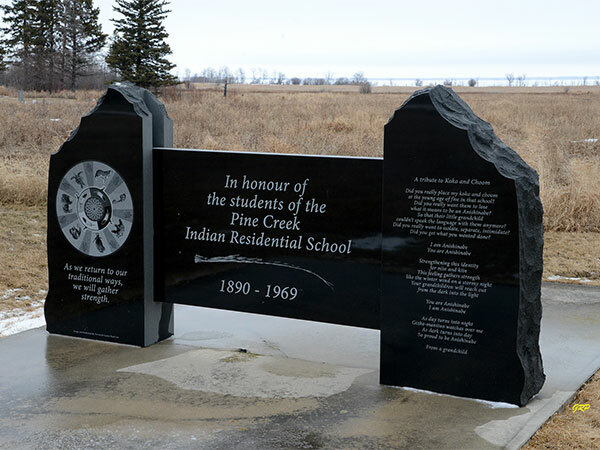 A monument commemorating the residential school was erected next to Our Lady of Seven Sorrows Roman Catholic Church. We thank David Butterfield, Dennis Thompson, and George Penner for providing additional information used here.